Why You Need This: Every motorcycle has a at least one main fuse. Its purpose is to keep the electrical system from from frying if there is a short circuit in the motorcycle. Bikes like the Honda CL / CB350 and CL / CB450 use a single 15A (amp) fuse to protect the electrical system. Later on Honda went with more elaborate box with multiple fuse found on the Honda CL / CJ / CB360 and the CB500T, where the 15A (amp) fuse is the main fuse and two 7A (amp) fuses are used secondary. 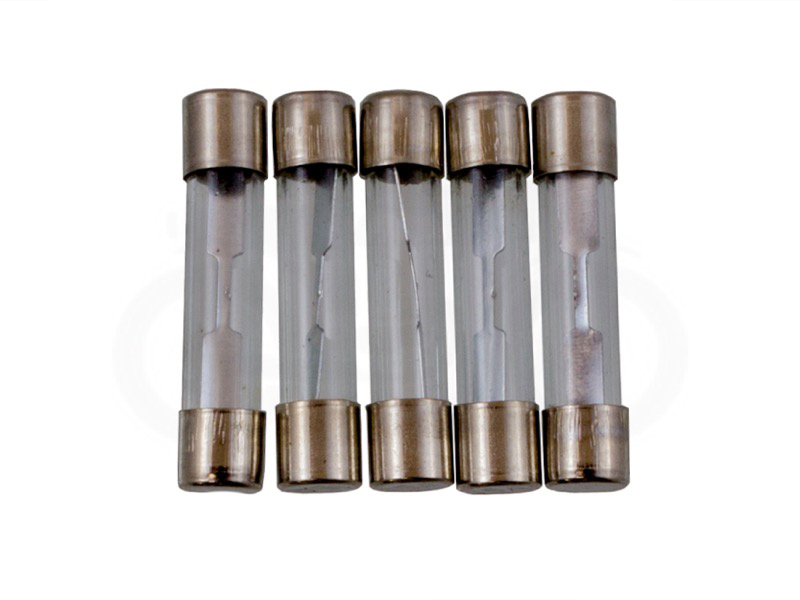 These 15A (amp) old school glass tube fuses are tough to find these days, however we have the proper length (30mm) and amperage rating glass fuses that originally were specified for each model. Sold in packs of five. Keep a few extra fuses on your bike as you never know if one is going to go, especially when your are out riding. Installation Tip: Clean the terminals in the fuse box with some rubbing alcohol and fine steel wool, be careful as the clips tend to be brittle and can easily break. If your motorcycle is regularly popping a fuse that means that you have a positive (12V+ DC) wire or terminal grounding out somewhere on the frame or wiring harness. Never bypass the fuse box it is there to keep from frying the electrical system on the motorcycle. Worked perfectly in my '74 CB360! Not sure how my bike was running from the PO's "fuse". This was a perfect fit and feeling much more confident with a legitimate fuse. Exactly what I need for my fuse box on my 1974 Honda CL360.